The first of the major international pageants officially kicks off in Manila! 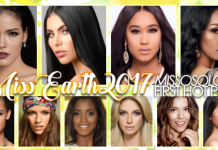 The delegates of Miss Earth 2017 have finally landed in the Philippines to join the first and biggest annual international beauty pageant promoting environmental awareness. 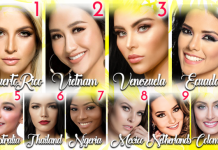 At this point in the competition, it is still too early to tell who is going to bring home the crown, but a few ladies have started to create a solid impact in the competition since the arrivals. The meet-and-greet event with the media is also a welcome move since pageant observers already got to know the ladies beyond their physical attributes. And among those who is making an impressive impact is Miss Panama, Erika Parker. She is a new entry in our list, but it wasn’t a hard decision to put her on top. She is one of the most consistent ladies in terms of styling and overall packaging. 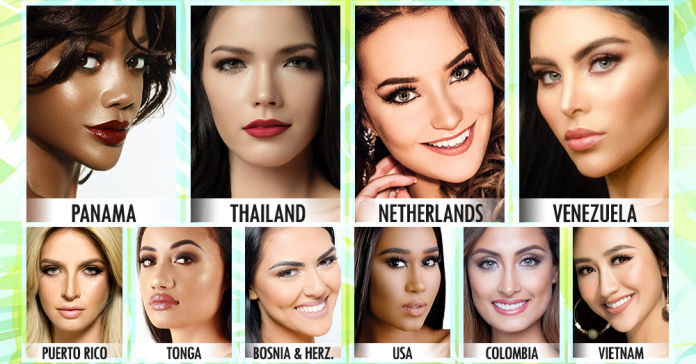 It’s high time for another woman of color to wear the Miss Earth crown and Erika would be an incredible choice. Not far behind is Miss Thailand, Paweensuda Drouin. The pre-arrival favorite is living up to all the expectations. Aside from being a fan favorite, is among the media’s darlings. It’s no surprise given her good communication skills and charming personality. Thailand rarely sends a complete package like her in a Big5 pageant. It would be a crime to waste this girl! A new girl in the list is Miss Netherlands, Faith Landman. One of the most beautiful faces, if not the most beautiful, in this year’s competition. But more then just the looks, she also has the heart for the cause and the dedication to bring it to fruition. And completing our Top 4 for now is the powerhouse beauty of Miss Venezuela, Ninoska Vasquez. This lady continues to wow everyone, especially when she arrived in Manila. She is definitely a show-stopper, and is most likely to give her country another Top 4 finish in the competition. Also worth noting is the stunning Miss Puerto Rico, Karla Victoria Aponte, who is 5th in our latest list. Despite the recent calamity that struck her island nation, Karla remains resilient and looking to be another force to reckon with in the pageant. In 6th place is Miss Tonga, Diamond Langi. This former Face of Beauty International winner is finally competing in a major pageant. Her experience as a celebrity and host in her country and her gift of gab will be her biggest advantages in the competition. In 7th place is the gorgeous Miss Bosnia Herzegovina, Lela Karagic, who was effortlesly beautiful during the welcome dinner party. Miss USA, Andreia Gibau, also remains as a top contender despite dropping to 8th in our list.